President Obama announced yesterday his intention to nominate Jeffrey Feltman for Assistant Secretary for the Bureau of Near Eastern Affairs. Jeffrey Feltman, a career member of the U.S. Foreign Service since January 1986, assumed his current position as the Principal Deputy Assistant Secretary in the Office of Near Eastern Affairs on February 11, 2008. Since December 18, 2008 he is also the Acting Assistant Secretary of State for the Near East Bureau. Marine Corps Brig. 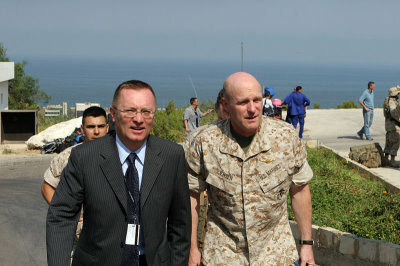 Gen. Carl Jensen at the U.S. Embassy in Beirut, Lebanon. assisted with the departure of U.S. citizens from Lebanon. Until January 25, 2008 he had served as the U.S. Ambassador to the Republic of Lebanon having been sworn in on July 22, 2004. From January to April 2004, Feltman headed the Coalition Provisional Authority’s office in the Irbil province of Iraq and simultaneously served as Deputy Regional Coordinator for CPA’s northern area. From August 2001 until December 2003, Feltman served at the U.S. Consulate-General in Jerusalem, first as Deputy Principal Officer and then, from July 2001 until September 2002, as Acting Principal Officer. He also served in Embassy Tel Aviv as Ambassador Indyk’s Special Assistant on Peace Process issues from the summer of 2000 to July 2001. From 1998 to 2000, Feltman served as Chief of the Political and Economic Section at the U.S. Embassy in Tunisia. 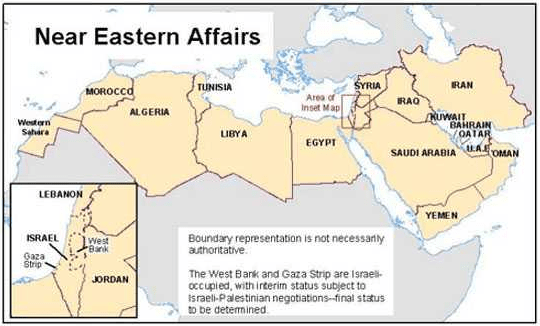 He served in the U.S. Embassy in Tel Aviv from 1995 to 1998, covering economic issues in the Gaza Strip. Mr. Feltman studied Arabic at the University of Jordan in Amman from 1994 to 1995 after joining the Bureau of Near Eastern Affairs in 1993. From 1991 to 1993, Feltman served in the office of Deputy Secretary Lawrence Eagleburger as a Special Assistant concentrating on the coordination of U.S. assistance to the formerly Communist countries of Eastern and Central Europe. Feltman served as an economic officer at the U.S. Embassy in Hungary from 1988 to 1991. Feltman’s first tour in the U.S. Foreign Service was as a consular officer in Port-au-Prince, Haiti. Feltman speaks French, Arabic and Hungarian. He received his undergraduate degree in history and fine arts from Ball State University in 1981 and his Master’s degree in Law and Diplomacy from the Fletcher School of Law and Diplomacy at Tufts University in 1983.